Allergic to nuts? 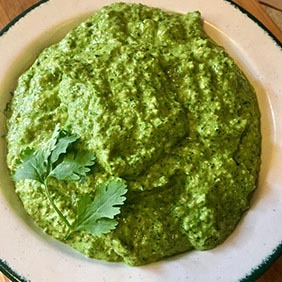 Try this nut-free pesto recipe. You can't even tell the difference! 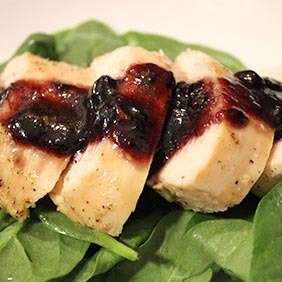 Transform your savory pan-seared chicken breasts into the ultimate comfort meal with a smothering layer of purple haze sauce! 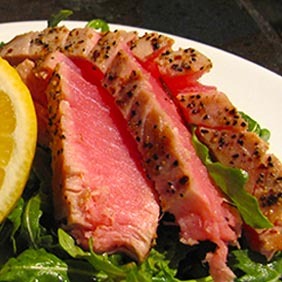 Treat yourself to a seafood night featuring a pan seared tuna, sliced into 1/2 inch pieces layered on top of a fresh bed of baby spinach. 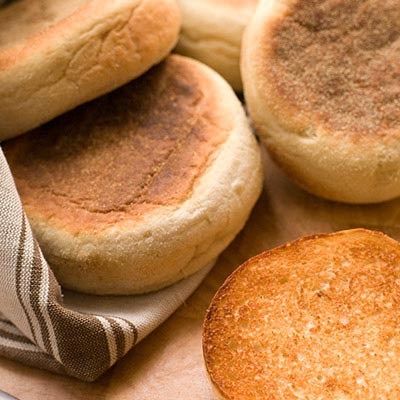 Looking for a go-to fall classic? 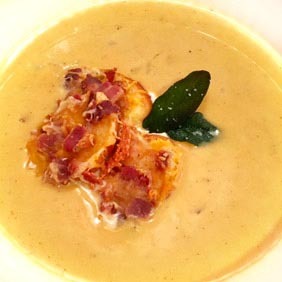 Try this yummy pumpkin soup recipe with cheesy, bacon croutons (and a little spice)! 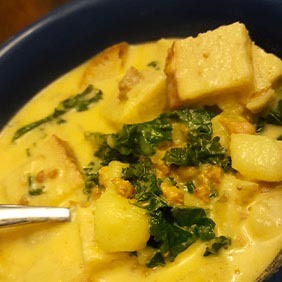 Chorizo, kale and potatoes are a match made in flavor heaven. Not enough time to make this? It's okay! Your crock pot can do the hard work for you! In a bind for time? 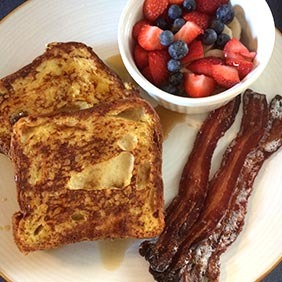 Enjoy this easy brinner recipe + 2 food hacks! 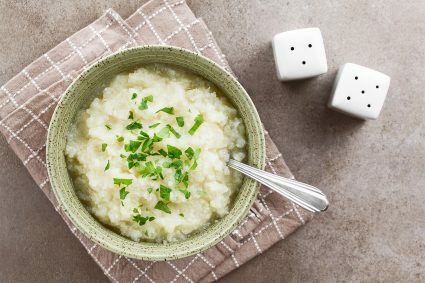 Liven up the boring side of mashed potatoes by adding in cauliflower! This creamy, comforting side dish will now be healthier with even more flavor! 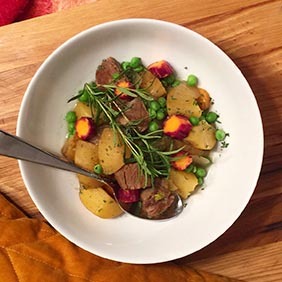 Relax and let your slow cooker do all the work for this healthy, comforting beef stew recipe! It's fall and getting colder. 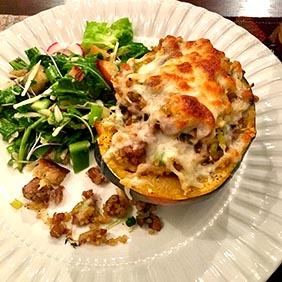 Warm yourself up with this comforting stuffed acorn squash recipe! 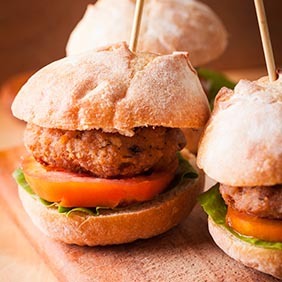 You can never go wrong with a plateful of sliders when you're having friends over, especially when they're Barbeque Turkey Meatball Sliders! Need one more side dish for dinner? 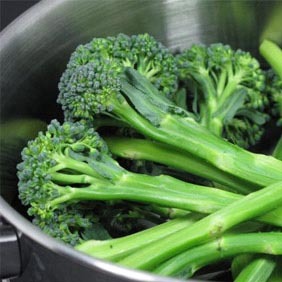 This sautéed Sweet Baby Broccoli recipe is incredibly fast to make and provides a citrusy flavor that compliments almost any main dish. Crisp to the bite and exotic to the taste buds! Need a dish to take to your next tailgate? 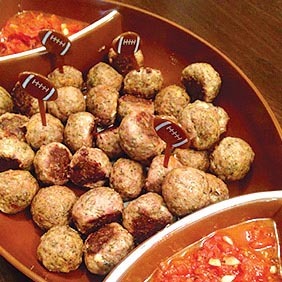 These Italian Meatballs are sure to be a crowd favorite! 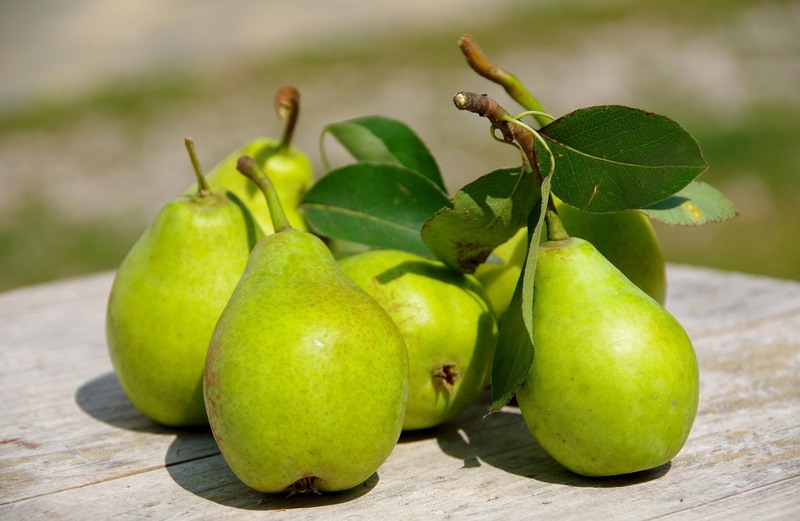 Before you step foot into your kitchen on Sunday morning, you'll know this breakfast sandwich recipe with pears sautéed in maple syrup is going to hit the spot! Don't let your busy schedule keep you from making a delicious, home cooked meal! 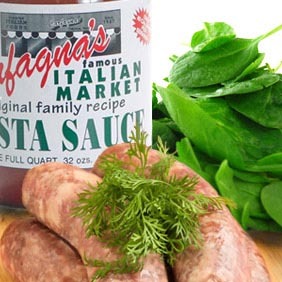 Take advantage of your slow cooker by making this fennel sausage with spinach and goat cheese recipe.